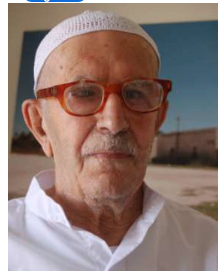 Abu Kamel was the last survivor of al Safsaf Massacre; he passed away yesterday in Ein el Helweh camp in Lebanon after carrying his pain for 67 years. However, he kept telling his story to the last breath, but unfortunately it was limited to those who visited him in the camp. “I was at the door when my mother, my wife and two children Monira and Kamel jumped to receive me. I’d brought them some candies. The Jewish soldiers began with me, so I gave the candies to my kids and said, “Take it; it’s the last donation from your father.”… my mother tried to hold my hand, but a Jewish fighter pulled me and pulled around 17 young men most of whom were less than 17 years old. The Jewish fighters turned our faces back to a wall; we started to hide against each other. One young man hid his head under my arm. My brother in law, who was 35 years old started to beg the Jewish soldier, but the soldier said to him in Arabic: “ Turn your head you donkey”. Then they shot us. I swear the wall shook above our heads from the bullets. When they shot, I was injured in my arm. Then it penetrated to the neck of the guy who was hiding under my arm. I saw his jaw spilling in my eyes. Then I got another bullet on my chest and one in the back that burnt my jacket, so I fell down; when I fell, the young guy who was hiding under my arm fell over my head, and all his blood started to pour on me. Add to this blood from son of Khaled Askoul and blood from someone called Kassem Hamad. I felt as if I had been in pool of blood. Suddenly an old woman appeared to check on us, and she stood over my head; so I told her that I was still alive; then I asked her to go and tell my mother that I was still alive, but I asked her not to come as I was worried that the Jewish soldiers might return; and unfortunately, two Jewish soldiers came fully equipped with arms and other needs. One of them stood over my head and one was 2 meters far. He told him in Hebrew there’s someone who is still alive, kill him. This is how Abu Kamel Younis survived the Safsaf massacre in which 80 victims were killed on 29 October 1948. Abu Kamel kept on tediously telling his story alone to uncover the terrorist face of Zionists. He died today.